Good afternoon everybody! I hope the holiday season has been going well for all you guys. I’ve been home for almost a week at this point, thanks to Northwestern’s wonky schedule. I can’t believe that I’m already done with my first quarter of sophomore year, but I head back to school the day after New Year’s, so I’m trying to make the most out of the time that I’m back: relaxing, baking, practicing, and going into New York City a whole bunch. Chicago is great and all, but I really do miss the northeast while I’m at school. I already have my heart set on living/going to school in NYC after Northwestern, but I still have many years before that. I have an overwhelming love for cranberries, specifically raw cranberries. I’ll eat them by the handful, and it amuses my mom to no end. She will specifically buy them for me in anticipation for my return, and in this case, it was Thanksgiving. Although I made this beautiful pie for dessert for my Thanksgiving meal, it would be a wonderful addition to any dessert potluck or get-together this holiday season. Between the thousands of cookies that are bound to be offered, this stunner is sure to stand out. Fit one pie crust into a 9-inch baking dish and refrigerate until ready to use. Take the other pie crust and cut into strips, of either equal or varying widths. Place on parchment paper on a cookie sheet and refrigerate until ready to use. For the filling, in a medium pot, combine the pears, brown sugar, granulated sugar, cinnamon, nutmeg, lemon juice, and cornstarch. Cover and cook until the pears are tender, but not mushy, approximately 15-20 minutes. Let cool to room temperature. Stir in the cranberries to the pear mixture and pour into the prepared baking dish. Take the strips of crust to create a lattice. Brush the lattice crust with the egg wash and sprinkle with turbinado sugar. Bake until the crust is golden brown and the filling begins to bubble, about 45 minutes- 1 hour, but begin checking the oven after 30 minutes. It’s certainly nice to have an oven again! Happy holidays everybody! I hope everyone has had a wonderful time at their seders or will have a great time at their upcoming Easter brunches. Now is a wonderful time to spend some time with family and friends, and of course, prepare and enjoy lots of food. Some of my highlights included the 7 different types of charoset that my mom and I prepared, ranging from American Ashkenazi to Moroccan Charoset Balls, to Persian. All of them were incredibly delicious and there’s more than enough to last me until next Tuesday! Some exciting news about gymnastics is that I made regionals! I had the state championships this past weekend and not only did I win floor, bars, and the all around for my age group, but I qualified to the Super Team! That is above the regular 15+ team, and the scores are the top 7 all-around scores for the entire meet, regardless of age. To say the least, I’m incredibly excited to compete and to have qualified to regionals for the second year in a row. But that’s enough about me. The starts of this post should really be these pop tarts. These delights from King Arthur Flour have been in my recipes-to-make list for awhile, but I was always intimidated by making my own crust, mostly because of the giant butter v. vegetable shortening debate. Like yeast, I was able to get over it, and I’m so glad I did. These were almost like hand pies, because of the crispy buttery-ness of the crust and the sweet fruit filling. They were basically the most gourmet pop-tarts I’ve ever had! Make the dough: Whisk together the flour, sugar, and salt. Work in the butter until the mixture holds together when you squeeze it, with pecan-sized lumps of butter still visible. Mix the egg and milk, and add it to the dough, mixing just until everything is cohesive. Divide the dough in half; each half will weigh about 10 ounces (about 280g). Shape each half into a rough 3″ x 5″ rectangle, smoothing the edges. Roll out immediately; or wrap in plastic, and refrigerate for up to 2 days. Make the filling: Whisk together the sugar, cinnamon, and flour. If using the fruit filling, mix the jam with the cornstarch/water in a small saucepan. Bring the mixture to a boil, and simmer, stirring, for 2 minutes. Remove from the heat, and set aside to cool. 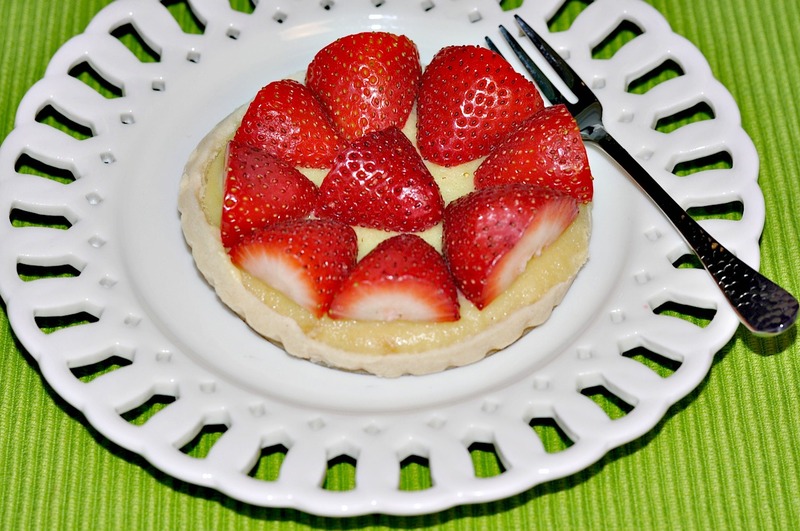 Assemble the tarts: If the dough has been chilled, remove it from the refrigerator and allow it to soften and become workable, about 15 to 30 minutes. Place one piece on a lightly floured work surface, and roll it into a rectangle about 1/8″ thick, large enough that you can trim it to an even 9″ x 12″. Laying a 9″ x 13″ pan atop the dough will give you an idea if you’ve rolled it large enough. Trim off the edges; place the scraps on a baking sheet, and set them aside, along with the 9″ x 12″ rectangle of dough. Beat the egg, and brush it over the entire surface of the dough. Place a heaping tablespoon of filling into the center of each marked rectangle. Place the second sheet of dough atop the first, using your fingertips to press firmly around each pocket of jam, sealing the dough well on all sides. Press the tines of a fork all around the edge of the rectangle. 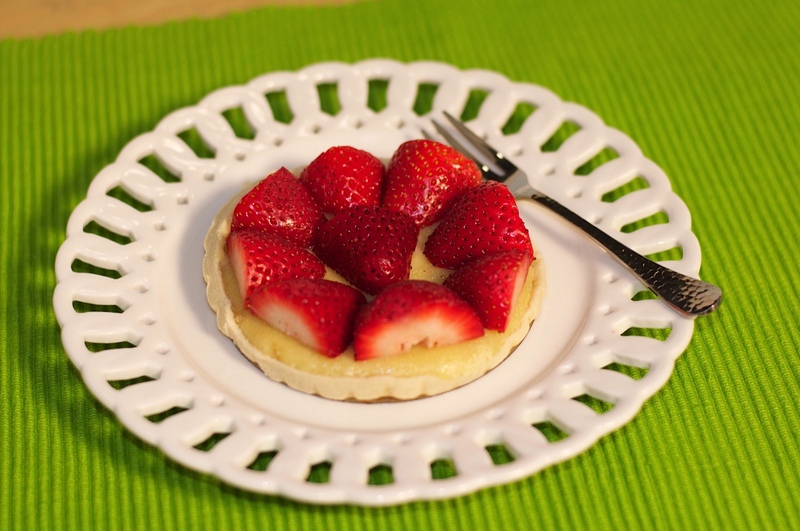 Cut the dough evenly in between the filling mounds to make nine tarts. Press the cut edges with your fingers to seal, then press with a fork, to seal again. 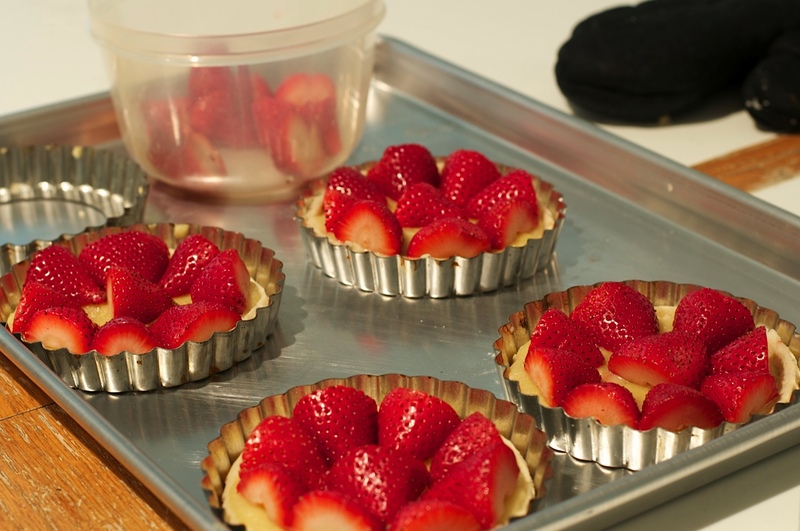 Remove the tarts form the fridge, and bake them for 25 to 35 minutes, until they’re a light golden brown. Remove them from the oven, and allow them to cool on the pan.